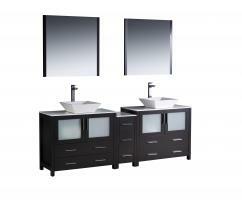 Provide an entire bathroom in a single purchase with this 84 inch double vanity sink ensemble. 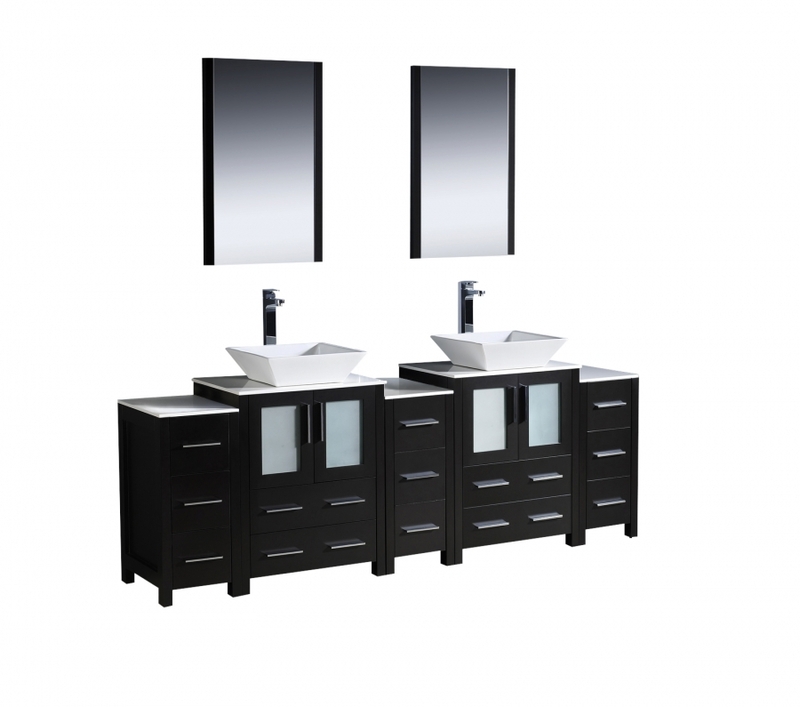 In addition to the lovely espresso cabinetry with numerous drawers and storage options, you also get matching side cabinets for even more organizational space. 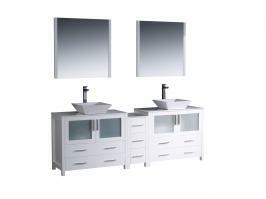 The set includes white ceramic vessel sinks, mirrors and fixtures. This vanity is well worth the money and what a great company to work with, shipping was right on que and the vanity arrived with no damage. The only complaint I have is that when you purchase satin nickel faucets the do not include satin nickel sink drains they are still chrome and that makes no sense to me but they can be replaced in expensively. Note from UniqueVanities.com - The wrong drains were shipped with this item. Since the manufacture has sent new matching drains to this client.